Samuel Waterman was born on 16 October 1666 at Plymouth, Plymouth, MA. He married Bethia ( ) Waterman. Samuel Waterman died on 10 March 1718 at Plympton, Plymouth, MA, at age 51. Bethia ( ) Waterman was born circa 1669. She married Samuel Waterman, son of Deacon John Waterman and Ann Sturtevant. Bethia ( ) Waterman died on 29 January 1727 at Plympton, Plymouth, MA. She was buried at Old Cemetery, Plympton, Plymouth, MA. Deacon John Waterman was born on 19 April 1642 at Marshfield, Plymouth, MA. He married Ann Sturtevant, daughter of Samuel Sturtevant and Ann ( ) Sturtevant, on 7 December 1665 at Plymouth, Plymouth, MA. Deacon John Waterman died on 14 September 1718 at Plympton, Plymouth, MA, at age 76. He was buried at Old Cemetery, Plympton, Plymouth, MA. Ann Sturtevant was born on 4 June 1647 at Plymouth, Plymouth, MA. She married Deacon John Waterman, son of Robert Waterman and Elizabeth Bourne, on 7 December 1665 at Plymouth, Plymouth, MA. Ann Sturtevant died on 9 February 1720 at Plympton, Plymouth, MA, at age 72. She was buried at Old Cemetery, Plympton, Plymouth, MA. Robert Waterman was born at England. He immigrated in 1636. He married Elizabeth Bourne, daughter of Thomas Bourne and Elizabeth ( ) Bourne, on 9 December 1638 at Marshfield, Plymouth, MA. Robert Waterman died on 10 December 1652 at Marshfield, Plymouth, MA. He was buried on 12 December 1663 at Marshfield, Plymouth, MA. Elizabeth Bourne was born. She married Robert Waterman on 9 December 1638 at Marshfield, Plymouth, MA. Elizabeth Bourne died in 1663. She was buried on 12 December 1663 at Marshfield, Plymouth, MA. Ezra Reed was born on 11 October 1822 at Weymouth, Norfolk, MA. He married Jane A. Wright, daughter of Stedman Huntington Wright and Mary Burrows, on 11 February 1849. Ezra Reed died on 10 January 1874 at S. Weymouth, Norfolk, MA, at age 51. Jane A. Wright was born on 14 July 1826 at Mansfield, Tolland, CT. She married Ezra Reed, son of Ezra Reed and Susanna Colson Richards, on 11 February 1849. Jane A. Wright died on 5 February 1905 at age 78. Mary Hickey was born circa 1816 at Ireland. She married John Page. William Dudley was born at Richmond, Surrey, England. He married Jane Lutman on 24 August 1636 at Oakley, Surrey, England. William Dudley immigrated in 1639. He died on 16 March 1684. Jane Lutman was born. She married William Dudley, son of David Dudley, on 24 August 1636 at Oakley, Surrey, England. Jane Lutman died on 1 May 1674. Margaret Carroll was born in November 1864 at Cork, Ireland. She married Daniel John Sheedy, son of John Daniel Sheedy and Susan Ready, on 14 February 1893 at Allegheny, Allegheny, PA. Margaret Carroll died on 24 October 1946 at Butler, Butler, PA, at age 81. She was buried after 24 October 1946 at Calvary, Butler, PA.
John Sheedy was born in November 1882. Mary Sheedy was born in June 1893. James Hogan was born at Ireland. He married Ellen Cleary. Ellen Cleary was born at Ireland. She married James Hogan. Timothy Lynch was born circa 1810 at Ireland. He married Hester Cary. George LaBarge was born at Worcester, Worcester, MA. He married Ella Spencer. Ella Spencer was born at South Berwick, York, ME. She married George LaBarge. Philip St. Cyr was born circa 1871. (an unknown value). He married Marie Grondin circa 1890. Marie Grondin was born on 16 March 1858 at St. Joachim, Courville, Québec, QC, Canada. She married Philip St. Cyr circa 1890. 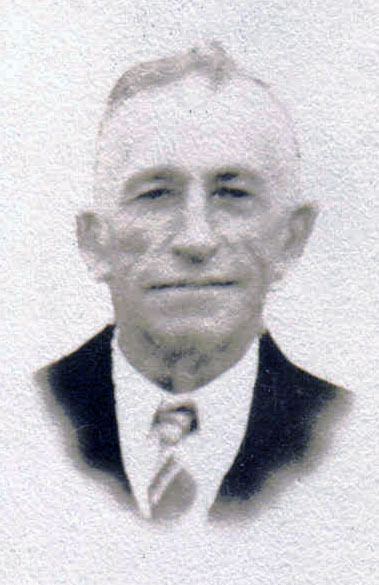 J. Pierre Auguste Binette was born on 18 April 1884 at St. Elzéar, Beauce, QC, Canada. He married Josèphine LaCasse in 1907 at United States. J. Pierre Auguste Binette died on 11 June 1953 at St. Ferdinand d'Halifax, Mégantic, QC, Canada, at age 69. J. Louis Alfred Binette was born on 15 August 1886 at St. Elzéar, Beauce, QC, Canada. He died on 30 December 1909 at age 23. M. Masalie Anaïs Binette was born on 8 August 1877 at St. Elzéar, Beauce, QC, Canada. She married Omer Talbot, son of François Xavier Talbot and Rose Delima Marchand, on 8 February 1897 at Newmarket, Rockingham, NH. M. Adéle Léda Binette was born on 10 November 1882 at St. Elzéar, Beauce, QC, Canada. She died on 21 April 1957 at age 74. Marie Binette was born on 12 March 1888. Jesse Perry married Ethel Britt. Ethel Britt married Jesse Perry. Susan Ready was born in 1834 at Ireland. She married John Daniel Sheedy, son of John Sheedy and Catherine Haynes, on 2 October 1861 at Boston, Suffolk, MA. Susan Ready died on 20 July 1862 at Boston, Suffolk, MA.